Child car seats have come a long way since the days when they were designed mainly to keep kids from moving about in the car, not to protect them from injury in the event of an accident. Today’s car seats are designed with child safety in mind. And statistics show that correctly used child safety seats can reduce infant death from car accidents by 71 percent and toddler death by 54 percent. Child safety begins with adults. And it’s the responsibility of every parent and person who drives with a child in his or her car to make sure that the child’s car seat or booster seat is installed and used correctly. To that end, here are some basic child car seat safety tips that you and responsible adults with a child passenger in their car should know. Today’s car seats carry labels with written guidelines to help you make sure that the seat is age, weight and height appropriate for your child. Children from birth to age 2 should be restrained in rear-facing car seats. Children age 2 to 5 should be buckled into front-facing car seats. Children age 5 and up should be buckled into booster seats until a seatbelt fits properly without the booster seat. While a child’s age is the first thing that most adults factor in when choosing a car seat, the height, and particularly the weight of your child relative to the manufacturer’s recommendations should take precedence over age. However, these height and weight recommendations are typically not found in bold print, so make sure you read everything before selecting a car seat for your child. Car seat manufacturers are constantly working to improve the comfort and safety of their products. 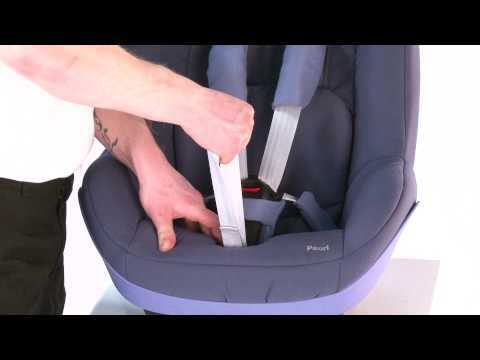 And while pulling an older child’s previously used car seat for the new baby may save you some money, be sure that the used car seat is safe, sound and up to the latest specifications before putting it to use. On that note, you should only buy a used car seat from someone you know and only if you are aware of the car seat’s history, such as if it was ever in an accident. If there is any doubt as to a used car seat’s safety you should opt to buy a new one. The newest, safest car seat won’t fully protect your child if it’s not properly installed. So make sure you become adept at installing the car seat in your car before ever trusting it with your child. Take time to read the installation instructions and become fully acquainted with how to properly secure the seat in your car and how to secure your child within the seat. The Tug Test: Once the car seat is installed—and every time you hit the road—give the base of the car seat a good tug, both forward and back and from side to side. If there is more than an inch of play in any direction, the seat restraints should be cinched tighter. The Shoulder Strap Test: When placing your child into the car seat make sure that the harness components are coming from the right slots and that they are buckled together properly and snugly. To make sure that your child is secure, try pinching the shoulder strap right over your child’s shoulder. If there is play in the strap you will need to tighten it until you cannot pinch any excess webbing. Child passenger safety is everyone’s concern. By following these basic tips, those responsible for transporting children in their vehicles can make sure that their precious cargo remains as safe and secure as possible.